medical credentialing | Medical Revenue Associates, Inc. Being a practice within a managed care carrier network or multiple carrier networks means inevitably having to add or remove a physician from your carrier profile. This process involves an application process (completing the 30-page Council for Affordable Quality Healthcare (CAQH) questionnaire) for a specific network and must be completed whenever there is a provider profile with an in-network carrier. Some insurance companies allow physicians to join a network under a group contract, while others require each individual physician to apply. This varies based on the insurance company. If you are able to apply as a group, it is easier to negotiate rates and also easier to add new clinicians because you’re just adding them to the group, rather than them individually placing an application. 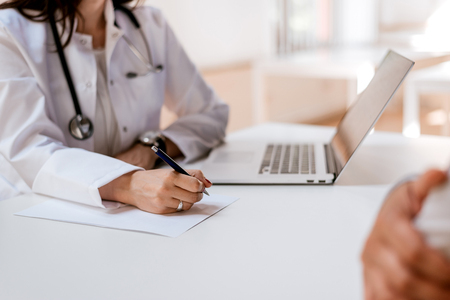 If physicians need to individually apply, it’s essential that they follow up on their paperwork and make sure nothing was left out or done incorrectly for the credentialing process to move along smoothly. The whole procedure can take anywhere from two to six months. Leaving a practice involves notifying the insurance company and will require completion of a form as well. Physicians who are approved within a group contract are often able to just add a new location and delete their old practice from their contract, instead of having to reapply all over again. To be re-credentialed through a provider, it requires verifying all the CAQH data. Failing to do this will result in termination of being in network with an insurance company. Let the professionals at Medical Revenue Associates, Inc. take on the credentialing process so that you can focus on your patients. Give us a call at 215-497-1001 today to learn more.